Volkswagen Tiguan Allspace Running Costs, MPG, Economy, Reliability, Safety | What Car? The Tiguan Allspace is only available in three high-spec trims – Match, SEL and R-Tech Line. That means you get plenty of equipment, but you have to pay a lot for it. Spec for spec, the Allspace model is around £2000 more expensive than the five-seat version. For that money, you get that usefully bigger boot, but the two extra seats you won’t want to use too often. Compared with rivals such as the Skoda Kodiaq and Peugeot 5008, the Tiguan Allspace is very expensive. The good news is that it holds its value very well, meaning the overall cost of ownership is less than some cheaper rivals. It also means PCP costs are very competitive. If you are watching the pennies, we’d stick to the two-wheel-drive models because both the list price and running costs are lower. Automatic versions typically produce more CO2 emissions and are less economical than their manual equivalents, but command a hefty premium to buy. Volkswagen offers a three-year/30,000-mile fixed-price servicing scheme that should help with budgeting. While the five-seat Tiguan range kicks off with S and SE trims, the Tiguan Allspace starts with Match spec. 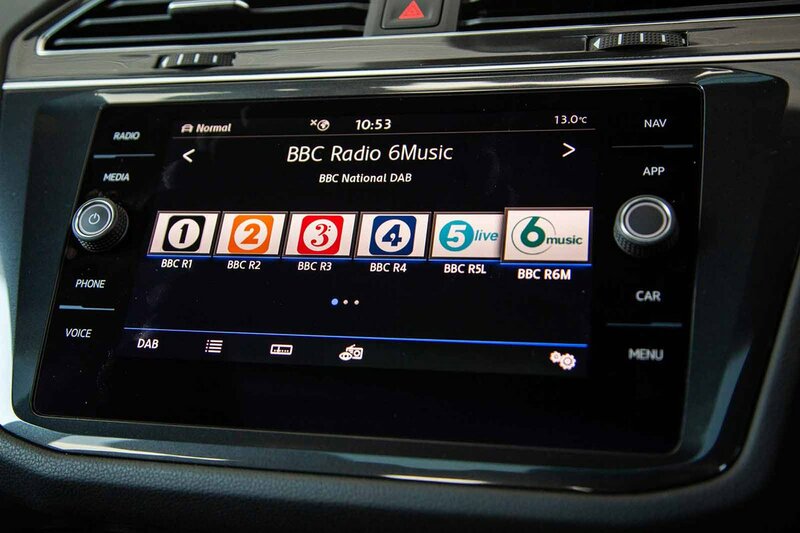 This means, as standard, all seven-seat models get air conditioning, 17in alloy wheels, four electric windows and a touchscreen infotainment system with sat-nav, Bluetooth and a DAB radio, as well as three-zone climate control, front and rear parking sensors and cruise control. SEL trim adds a fully configurable digital instrument cluster, LED headlights, adaptive cruise control, 19in wheels and a panoramic sunroof. Range-topping R-Line Tech versions gain 20in wheels and stiffer sports suspension, as well as a host of minor interior and trim upgrades for a sportier, more distinctive look. 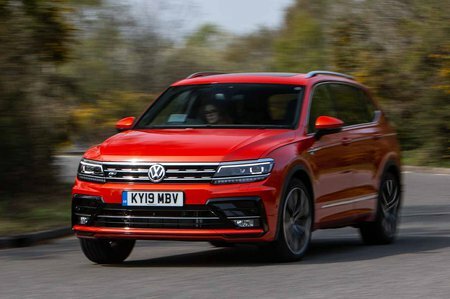 Although we don’t have specific data for the Tiguan Allspace, the standard five-seat Tiguan only came a lacklustre eighth out of 13 family SUVs in the 2018 What Car? Reliability Survey. That’s a better result than Nissan Qashqai or Range Rover Evoque could manage. However, VW ranked a lowly 17th out of 31 manufacturers overall. 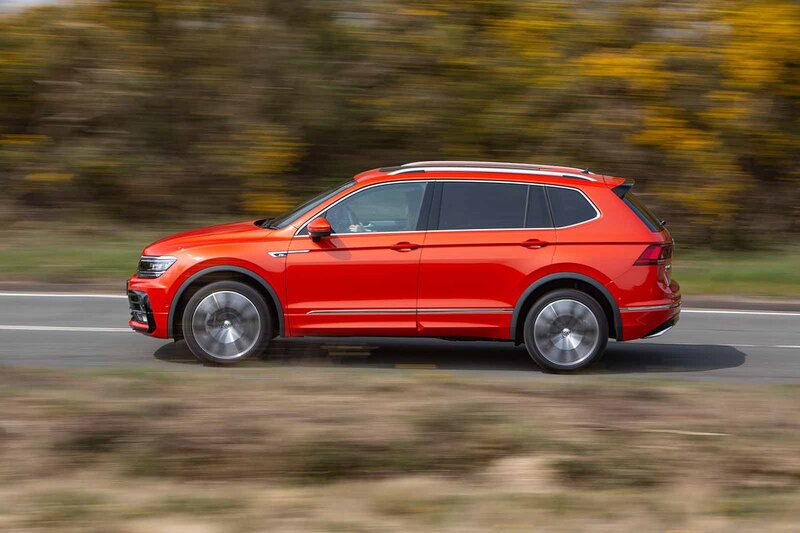 Just like the standard version, the Tiguan Allspace gets a conventional three-year/60,000-mile warranty as standard, but you can extend the component warranty for an extra year for a competitive price. Impressively, automatic emergency braking (AEB) is standard on every Tiguan Allspace – it can slow or even stop the car if it senses a collision is imminent at low speeds. The high seating position will appeal to many buyers, while the permanent four-wheel-drive models also make a tempting case if you regularly encounter tricky driving conditions. Euro NCAP awarded the Tiguan (including the Allspace) five out of five for safety. A more in-depth look at the results shows that it is better at keeping adults out of harm than either an X1 or Seat Ateca, although the X1 is the safer choice for child occupants and pedestrians. Meanwhile, security experts Thatcham Research awarded the five-seat Tiguan impressive marks for resisting being stolen or broken into.